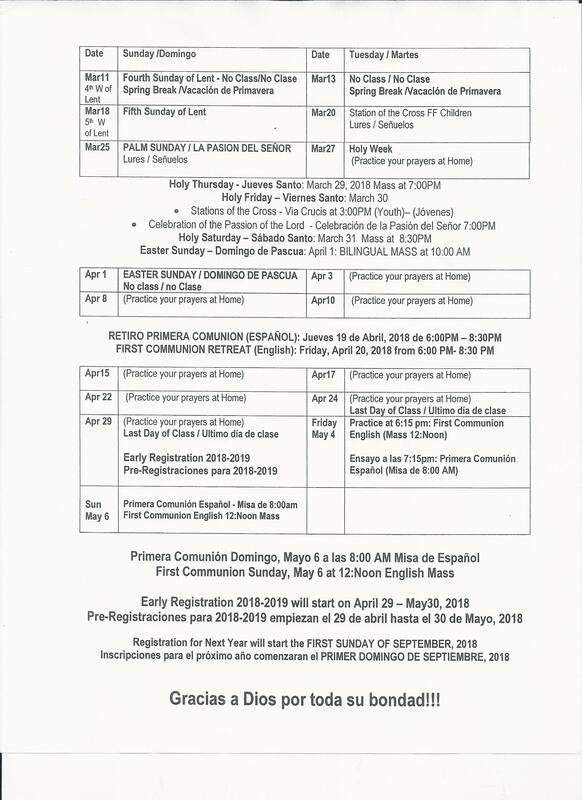 To assist the parents by giving parents knowledge, teaching aids, and faith building opportunities in order for them to educate their children in the Catholic faith. To nourish the lives of families, students and catechists by building a strong moral and spiritual foundation with Christian values. To increase knowledge of our basic Catholic believes and inspire the growth of sacramental awareness. Our vision commitment is to be a Catholic community which ministers to one another, invites everyone to share their gifts, is an advocate for the powerless, is attentive to individual needs, and enters into a deeper relationship with God. For specific information requirements, contact the Faith Formation Office, at (210)924-6000 Ext. 15 or jessylstleonard@yahoo.com.